Outlook Express Password Unlocker is a software program developed by Password Unlocker, Inc.. We know of versions 3.1, 3.0. Version 3.0.1.3 is downloadable at our site. Outlook Express Password Unlocker installation package has a size of 9,618,895 bytes. 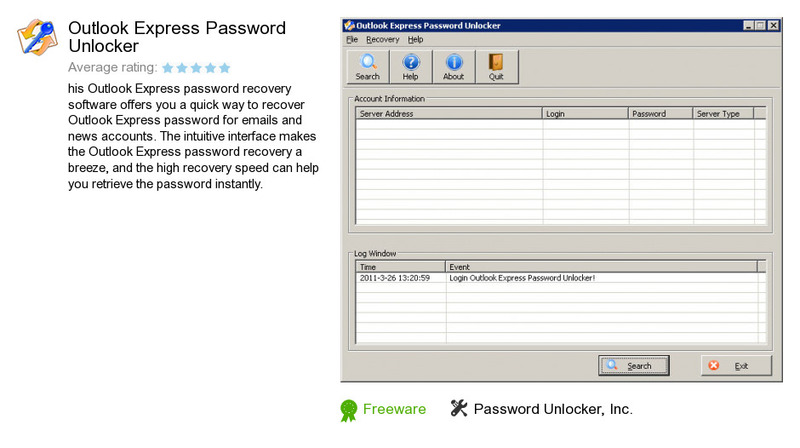 Password Unlocker, Inc. also publishes Outlook Password Unlocker and Instant Message Password Unlocker.